On a recent day trip to Shiner to visit the Catholic Church of Saints Cyril and Methodius, one of the most beautiful of the painted churches in Texas, I made my way back home on backroads. Hungry for a hamburger, I stopped for lunch in Schulenburg, a small town located at the intersection of Interstate 10 and U.S. Highway 77. The area around Schulenburg was settled by German, Austrian, and Czech settlers in the mid-nineteenth century. The town of Schulenburg was founded in 1873 when the Galveston, Harrisburg, and San Antonio Railway came through the area. The town gets its name from Louis Schulenburg, the man who donated land for the railroad. Uncertain about the restaurants in town, I asked Siri (my iPhone travel guide) to recommend a restaurant. 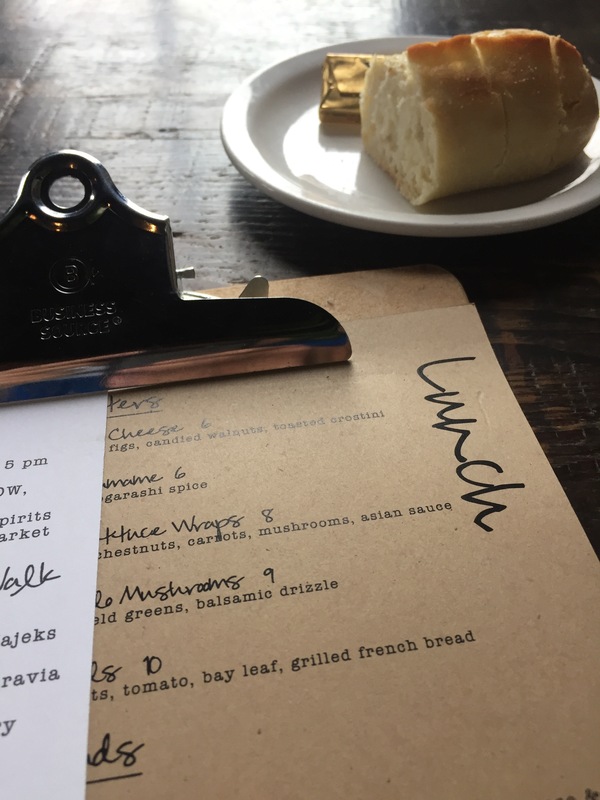 I read some quick reviews and decided to have lunch at The Garden Company Cafe, not necessarily a hamburger joint, but a place with lots of interesting choices on the menu. Housed in a period-looking farm house, I could not help but stop to eat there. In addition to the restaurant, The Garden Company also features a marketplace and a nursery with colorful bedding plants, shrubs, trees, and more. The restaurant is creatively decorated and has large windows that let lots of light spill in to the rooms. The place was packed when I walked in — a good sign. Of course, I took advantage of the opportunity to see what folks were eating while I waited for my table. The selections on the menu looked amazing. Wish I could have ordered a sampling of everything, but I was there to eat a hamburger. So, I ordered the Plain Jane — just a simple burger. The Plain Jane has a patty made of a blend of chuck and brisket topped off with an ample melted portion of aged sharp cheddar. The meal is served with oven roasted potato wedges, lettuce, tomato, and red onion on the side. 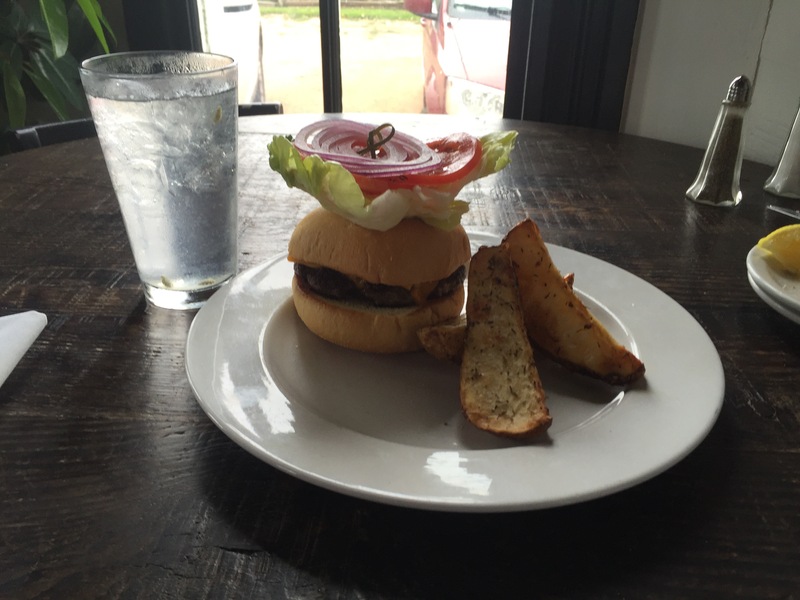 The Plain Jane burger was anything but plain. It was delicious. The bun was moist, the flavor of the meat was really good, and the potato wedges were cooked to perfection. Just the right size and the right amount of everything. The only thing that disappointed me was that the burger and potato wedges filled me up and I had no room left to eat one of their delicious-looking desserts. I’m glad that I stopped by The Garden Company Cafe — absolutely a good decision. The wait staff was friendly and courteous, making the experience that much more enjoyable. 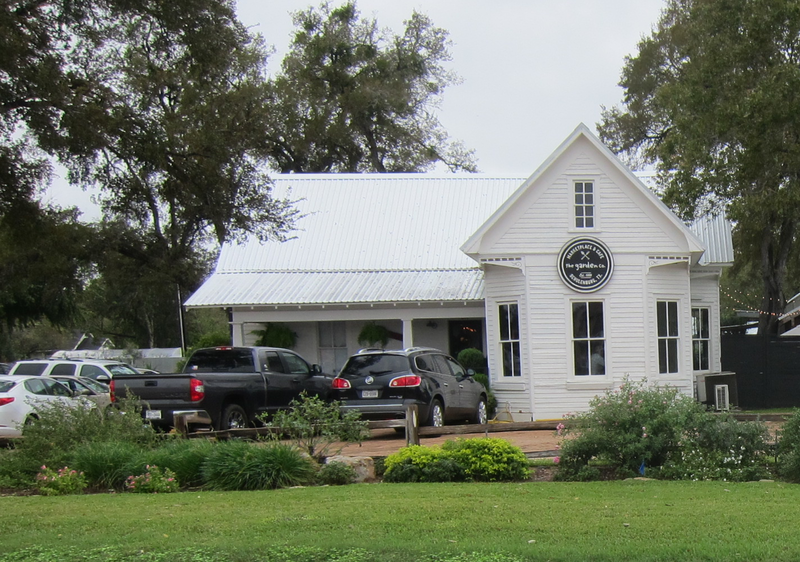 If you are headed down Interstate 10 and find yourself anywhere near Schulenburg, stop by The Garden Company Cafe to enjoy a delicious meal or coffee and a dessert. I think you’ll agree with me that it was well worth the stop. This entry was posted in Places To Eat and tagged Hamburgers, Schulenburg, The Garden Company Cafe. Bookmark the permalink.